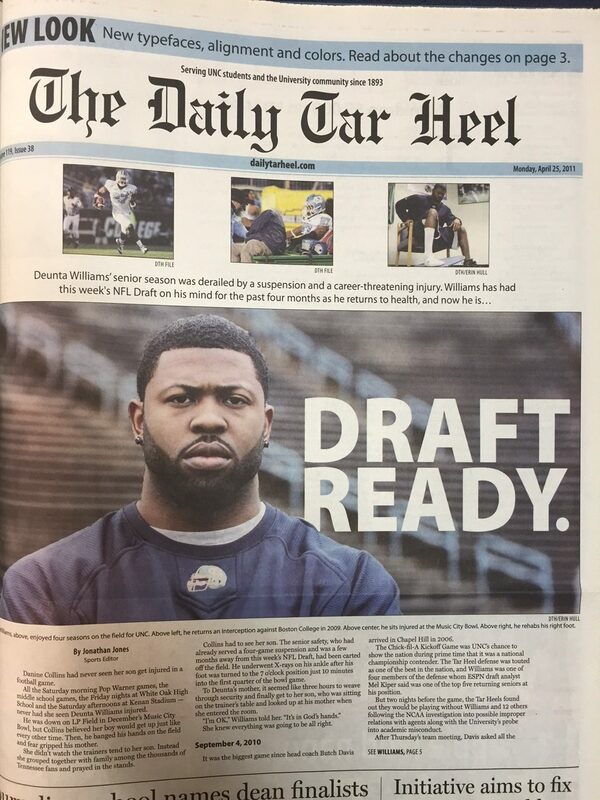 Editor’s note: The Daily Tar Heel has about two years to figure out its finances. As we move forward with initiatives to do just that, we are asking alumni and friends to support the DTH’s journalism in a few targeted areas. Chief among them: the sports travel budget to send photographers and sports writers to away games, which will cost $8,000 this year (if we catch a break on NCAA tournament venues). Donors will get to listen live to the recording of special DTH Sports podcasts, starting with the football season preview. 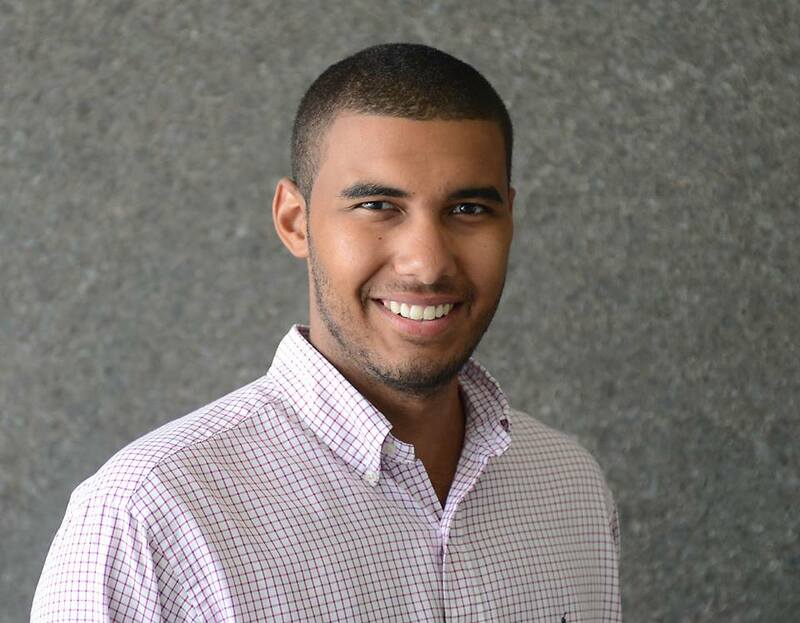 Today, former sports editor Jonathan Jones ’12 writes about how DTH sports travel prepared him for his career covering the NFL and the Carolina Panthers for The Charlotte Observer. My first roadtrip covering the Carolina Panthers with the Charlotte Observer came in the summer of 2012. The Panthers played the Jets in a preseason game that was basically meaningless with the exception of Tim Tebow playing. Of course I was nervous, but at least I knew how to get around and conduct myself. A year earlier I was in New York covering the Elite Eight for the first time. I got familiar with the subway system. I figured out the airport. I learned how to get around. I learned all of that with The Daily Tar Heel. Covering the 2011 NCAA tournament, I was able to fly to New York City on the newspaper’s dime to write about a major sports event in a major American city as a 20-year-old and navigate my way around. The opportunities the DTH afforded me cannot be understated. I took my first plane ride ever to cover the 2009 UNC women’s soccer team when they won the College Cup in Texas (after a flight to Houston and a longggg shuttle to College Station). I got the UNC-Miami football game in 2010 as sports editor, and it was my first trip to Miami. Kevin stuck me in Doral, and I bartered with a friend there on fall break to take me to the game. That was a big taxi fare I saved the company. And then later that school year I was in New York for the tournament. Not only did I learn how to get around, but I learned how to act and carry myself on the road in big events. I worked alongside full-time, adult beat reporters. We were mashing out words right beside each other in giant media workrooms. We got lunch and dinner and drinks together. We bonded, and they got to know me as much as I got to know them. That was an important trip for me. I got a handful of freelance assignments based on connections I made on that trip, and one of those assignments turned out to be a full-time job. When I heard the DTH was going to fund only one senior sportswriter to go to the tournament two years ago, I was moved to send some money to a GoFundMe account and tell my coworkers about it. You can’t miss out on these trips. The lessons I learned from my roadtrips on the DTH’s dime have been invaluable. It is without exaggeration that I say that, whatever success I have achieved was made possible by the foundation the DTH and those trips established. I hope you’ll join me in donating. These are tough times in our profession, and it’s too easy for young writers to be discouraged from joining or staying in this field. Your gift could help keep a quality, aspiring writer learn valuable lessons and keep his or her dream going. You can read JJ’s stories from his DTH days here. Highlights include the time he trolled the entire East Carolina fan base, and when he cleverly previewed the 2011 UNC-Kentucky game based on each player’s Twitter skills (editor’s note: one of my all-time favorite front packs). And he was summer sports editor when news first broke of the NCAA investigating UNC in summer 2010.